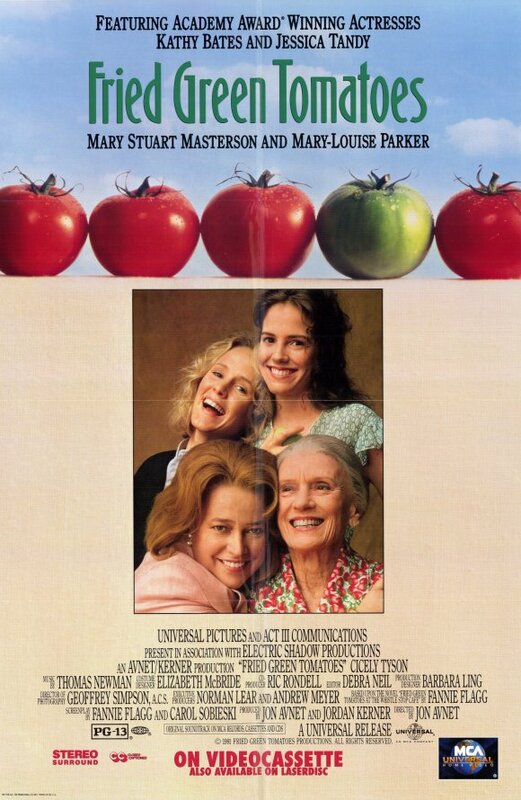 I remember watching the movie Fried Green Tomatoes with mom. I loved that movie and eventually read the book as an adult. Being southern, I also like to eat fried green tomatoes. YUM! Let me give you some background on this book turned movie and the area it was filmed in. The book came was published in 1987. 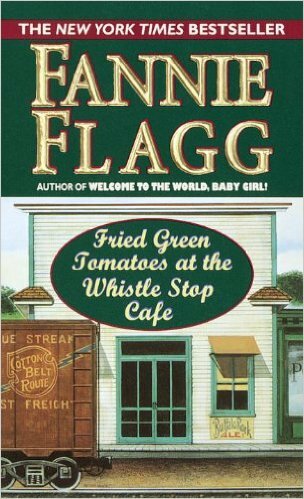 Flagg’s novel weaves together the past and the present through the blossoming friendship between Evelyn Couch, a middle-aged housewife, and Ninny Threadgoode, an elderly woman who lives in a nursing home. Every week Evelyn visits Ninny, who tells her stories about memories of her youth in Whistle Stop, Alabama where her sister-in-law Idgie and Idgie’s friend Ruth ran a café. These stories, along with Ninny’s friendship, enable Evelyn to begin a new, satisfying life while allowing the people and stories of Ninny’s youth to live on. The movie came out in 1991 and starred Kathy Bates, Jessica Tandy, Mary Stuart Masterson, and Mary-Louise Parker. Juliette was a bustling railroad community during the early 1900s. Over time, the railroad industry declined, and Juliette was nearly forgotten until 1991 when movie producers for the film “Fried Green Tomatoes” discovered Juliette and reconstructed the existing buildings into the fictional community of Whistle Stop. 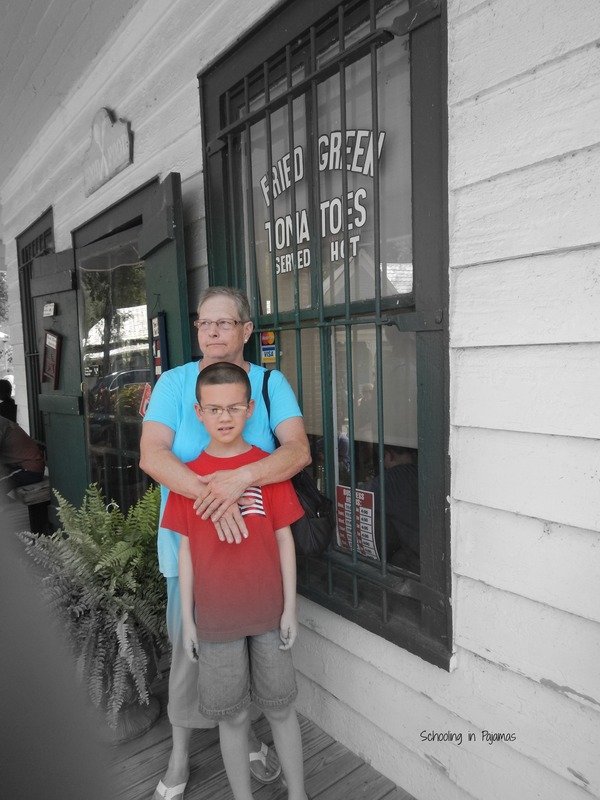 Today, Juliette is a vibrant community where guests can step onto the movie set and have a plate of fried green tomatoes at the Whistle Stop Café right where Idgie sat (11 a.m. to 4 p.m. daily). After enjoying a delicious meal, guests can stroll through the scenic community and browse for unique gifts or collectibles in the shops along McCrackin Street or visit the Old Mill Motorcycle Museum, site of the Juliette Grist Mill built in 1927, one the world’s largest water-powered grist mills. Located one hour south of Atlanta and 20 minutes north of Macon, Juliette is an ideal trip for the day or evening. Juliette is located nine miles east of Interstate 75 off of exit 186. Check out the website for the community of Juliette to read some fascinating history. One such nugget is the town was originally called Glover. *The cafe is really small. I do mean small and the tables are crowded. There is seating at the counter and I would suggest trying to sit there. They also have wooden booths. *Get there early or be prepared to wait at least an hour to get a table when it is crowded. *There is a small air conditioner but it stays hot in there. *The portions are huge. Two can eat from most of the plates they serve. Things to know when you get there. *The street is one lane. So watch for other cars coming/going. *Watch for people walking as they don’t particularly watch for you. *The shops are small and most offer antiques/second hand items. 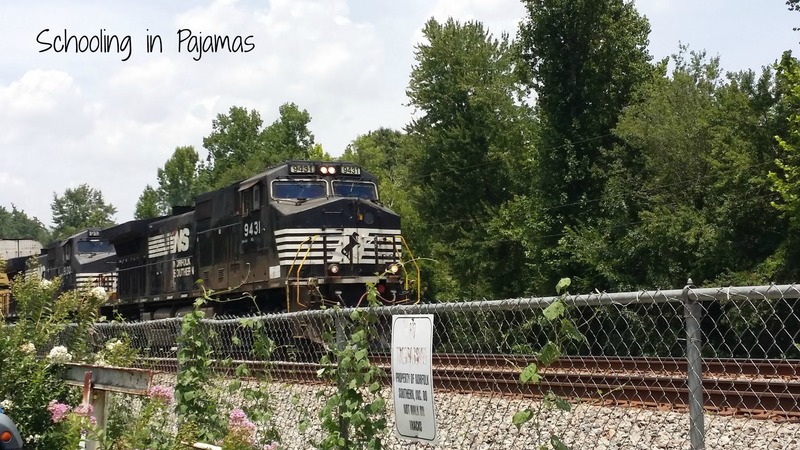 Twice we got to watch a train come barreling down the tracks that run right next to the cafe. It is loud especially when they blow the whistle. We went to several shops while waiting for our seats to be ready. We bought a Juliette t-shirt and some jam. One jam is made with strawberries, jalapenos, and green tomatoes. The other is made with green tomatoes and jalapenos. I would recommend going Juliette if you are in the area. It is not far from Macon (11 minutes off of I-75). The food is good and the shops are quaint. I would like to go back with my husband, look at the few shops I didn’t get to like the local honey shop, visit Lake Juliette that is nearby. 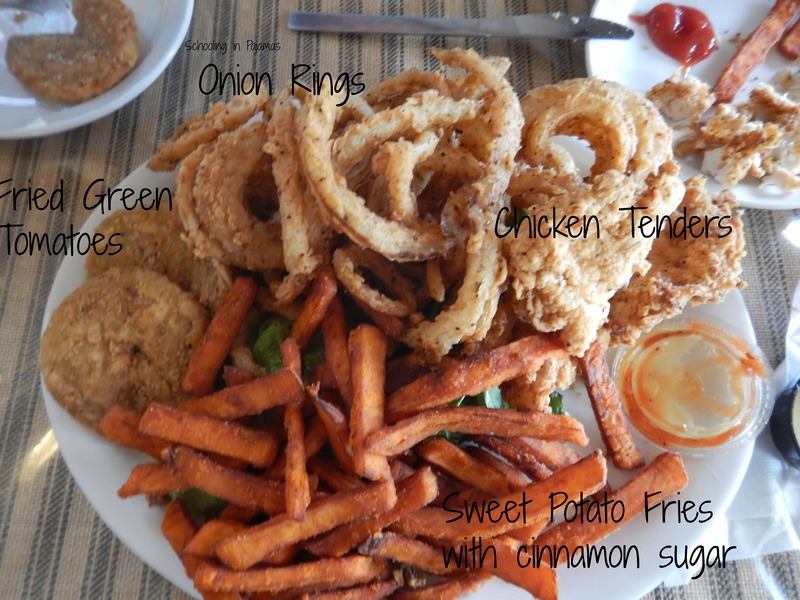 There are so many recipes for fried green tomatoes. I just couldn’t decide which one I wanted to include here so I think I’ll just leave that for now. I’ll plan another post after I have tried several different ones.